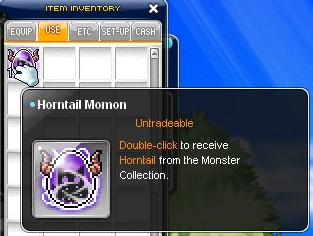 A Comprehensive Guide to Monster Collection | Dexless, Maplestory Guides and More! I'm JuddStorm, also known as u/JuddtheStormcaster on Reddit. After receiving some feedback, I've decided to upload a comprehensive guide to the forums to guide others on monster collection. New to monster collection? Which monsters should I collect first? What is the fastest way to 150 monsters? Shall we start? Wait! 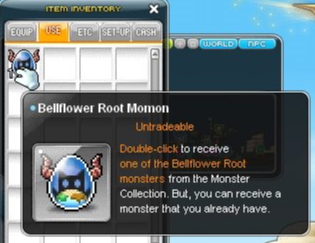 Not so fast, you CAN get your very first monster right away, click on that light bulb relating to monster collection to receive a simple monsterbloom, double click on it and you have your very first monster, the poison flower! Only 149 more to go! It's cold here, we're in El Nath! Note 1: The basis above is how I collected Deadly Altar for Aswan set. During that time, Aswan liberation was still available in MSEA, I used a mule to farm a Level 50 variant of Deadly Altar by spawning it in Hard Mode Aswan, it took 36 tries (after killing I just left the map) over a span of 4 days to collect the monster which was significantly much easier compared to "farming" it in Hilla. For MSEA, Netherworld Monk, only Normal Arkarium's and Mihile's quest Arkarium summon the correct variant, other variants do not count. Q: 600 monsters out of 870? That's way too much to ask! Q: Where's Crimson Balrog? Does it still spawn on the ship to Victoria/Orbis? Q: Is Sage Cat supposed to an elite monster? Q: Is that the Ice Golem from Coke Town? Where can I find this monster? Q: Are 2 star monsters easier to collect than 1 star monsters?